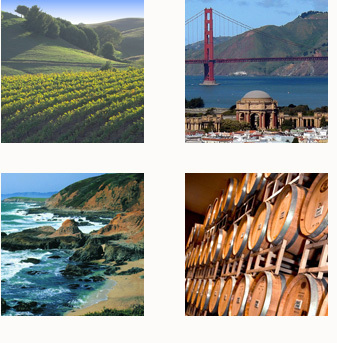 With stopovers and itineraries, click to explore the wine regions you’re interested in. Valleys of vines and must-see heritage spots, experience Chic Travels according to your wishes. Three regions and many wonderful trips take you beyond the famous Napa Valley, through vineyards, valleys and along the coast experiencing wine, gastronomy and culture. The abundant sunshine is great for visitors, and ensures a long grape growing season, and the diversity of the terroir supports a variety of grape types. Califorina’s wine story starts with the arrival of the Spanish in 1769 and the founding of the first Franciscan mission in San Diego, where the first vines were planted. From here, settlers moved north to San Francisco, establishing 21 missions along the way – and where the monks went, the vines followed. During the prosperity of the Gold Rush, more settlers from Europe arrived, bringing vines and traditions of viticulture with them. A Hungarian called Agoston Haraszthy changed the face of California’s wine trade when he settled in Sonoma in 1857, started planting vineyards and established California’s first winery, the Buena Vista. In 1861 he was commissioned to travel to Europe to research and collect grape varietals, resulting in more than 300 varietals being transported back to California. Prohibition brought a standstill to the wine industry for over a decade, before it was repealed in 1933. 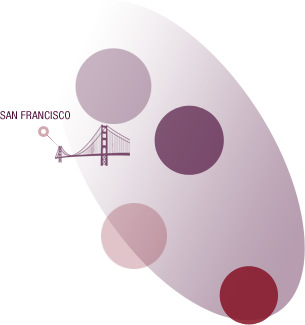 Success in international wine competitions in the 1960s and 1970s, including the famous 1976 Judgement of Paris, brought recognition to California wine, and today wine is grown in 48 of the state’s 58 counties.